Get off to a flying start at the University of Surrey with the help of our International Student Support team. To help you settle in when you first arrive, we offer a Meet and Greet service at Heathrow and Gatwick airports. Arriving at a new airport in a different country to begin your studies can be a daunting experience. The International Student Support team – along with more than 50 of our current student helpers – will be available to meet newly arriving EU and international students at Heathrow and Gatwick airports on Saturday 22 September in time for Welcome Week. To take advantage of this service, please book online. In order to book a Meet and Greet you will need to include a flight number and arrival time. It is important that you make your online Meet and Greet pick-up booking once you have booked and paid for your flight. For further information and to book this service, visit our pre-departure guide. All Erasmus+ and occasional students should book their airport pick-up on Wednesday 19 September. Please note that the Meet and Greet service is not available for International Foundation students. All International Foundation students should read our Pre-departure booklet (PDF) for further information. Get off to a flying start at the University of Surrey with the help of our International Student Support team. To help you settle in when you first arrive, we offer a Meet and Greet service and an International Orientation programme. Arriving at a new airport in a different country to begin your studies can be a daunting experience. The International Student Support team – along with more than 50 of our current student helpers – will be available to meet newly arriving international students at Heathrow and Gatwick airports. All exchange, study abroad and occasional students should book their airport pick-up on Wednesday 19 September. The International Student Support team invites all international (non-EU) students to attend a special orientation programme from Thursday 20 to Friday 21 September to help you settle in before the majority of students arrive on campus. Taking place in advance of Welcome Week, the programme will enable you to register with the University, get to know the campus and local area, and start learning about life in the UK. It is also a great chance to meet other new international students. The International Orientation programme tends to be very popular, so we recommend that you book well in advance to secure a place. University accommodation will be allocated from Saturday 22 September 2018. To guarantee that you can move in to your accommodation earlier, you will need to have booked either the Meet and Greet service or the International Orientation programme by Friday 11 September 2018. If you book the Meet and Greet service, your room will be made available from the day you arrive in the UK. If you do not book the Meet and Greet service but book the International Orientation programme you can move in on either Wednesday 19 or Thursday 20 September 2018. Visit our pre-departure guide to find out more. We ask all Exchange, Erasmus+, Study Abroad and Occasional students to arrive no earlier than Wednesday 19 September 2018. We will email you a link so you can book a place on our Meet and Greet service, which will run from London Heathrow and London Gatwick airports on Wednesday 19 September. Please book your place at least 2 weeks before your arrival. You are required to attend the Exchange Orientation on Thursday 20 and Friday 21 September. This includes welcome talks, workshops, tours, registration and social events. We will email you a link to book your place on these activities before your arrival. You should attend all of your main department's sessions in Welcome Week and, where possible, attend key sessions provided by your other departments too. If you can’t make the designated meeting with your other department's Exchange Coordinator to finalise your study programme, please email them to arrange an alternative meeting. Please see our advice on preparing for your exchange for things you need to organise well before you come to Surrey, including visas, accommodation, money matters, health insurance, and travel to the University. Just before you travel tells you how to set up your IT/email account and complete your online university pre-registration before your departure, what to pack and how you will finalise your study programme. If you have any queries about your exchange, please contact Zoe Stevenson or Julie Seager-Smith in the Incoming Exchange team at geo.incoming@surrey.ac.uk. We are delighted you have chosen to study here as part of the SII-DUFE programme. During Welcome Week you should attend all events on your Welcome Week timetable that are relevant to your programme. You will have received information on arrival and orientation via email. Please check your personal email account. We ask all SII-DUFE students to arrive no earlier than Tuesday 18 September 2018. Airport collection is available which must be booked online (see Meet and Greet below). As a student visiting from overseas, you are invited to attend the International Student Orientation on Thursday 20 and Thursday 21 September 2018. The includes welcome talks, tours, registration and social events. To take part you will need to book online. Our Meet and Greet service at Heathrow and Gatwick airports runs prior to the orientation programme. If you would like to be collected from the airport, please book in advance. Should you have any queries, please contact your Faculty Student Services team. Whether it's a leisurely meet with friends or a sit-down-meal, Lakeside Restaurant, Young's and Pizzaman are ideal places to eat. Grabbing a bite to eat and getting some caffeine has never been so easy with our campus-based cafes. Our on-campus pub is a great place to unwind with friends after a busy day of lectures. The Students’ Union is home to three unique venues, catering for all musical tastes. Rubix is a 1,550-person capacity nightclub which provides regular club nights featuring DJ’s and live acts. Hari’s Bar is the Union’s student bar that offers quiz nights, open mic nights and a great social space for clubs and societies. The Basement is a multi-purpose underground venue, used for music, arts and other creative activities. UniTemps – find yourself a job to help support you during your studies. Set up an account on unitemps.com to be emailed about part-time jobs on campus, at Surrey Sports Park and in the Guildford area. The jobs are flexible to fit around your studies, they’re great for getting experience and earning some extra money. Come in and meet our friendly team – we’re in the lower ground floor of the library building. Before you arrive you may want to think about how you'll get around once you're here. As a Surrey student, you’ll enjoy all the benefits of being within walking distance of Guildford town centre’s shops, parks, restaurants, pubs and clubs. With a great network of bus and rail services nearby, and a good cycling infrastructure, the vast majority of students find they have no need for a car. There are regular bus services between Manor Park, Stag Hill, Hazel Farm and Guildford town centre between the hours of 6am and midnight. From the town centre, there are also plenty of services covering other areas around Guildford. For discounted student travel, you can order a Stagecoach student card online. It costs £155 for an annual Travelcard or £69 for a three-month Travelcard. Both tickets represent fantastic value for money, with a saving of more than £600 on the cost of buying the annual ticket directly from the bus company. If you are a resident of Hazel Farm, a free Stagecoach bus pass is included in your key pack on arrival. As well as standard journeys, your travelcard will also cover the University night-bus service. This operates 6 nights a week between the town centre, Stag Hill and Manor Park. View our student transport pages to find out more. The University is a short walk from Guildford railway station. Students are eligible to apply for a 16–25 Railcard to gain discounted travel on mainline services, and an 18+ Student Oyster photocard for cheaper travel within London. Cycling – both around campus and into Guildford – is very easy and the transport of choice for many students. The University campus has plenty of cycle racks, including one in each court of residence. Some racks are lockable with a key that you can borrow. In Guildford, there are cycle racks at the railway station and around the town centre, close to the shops. Find out more about cycling on campus. The University has just launched a new bike share scheme in partnership with nextbike UK. With eight docking stations and 50 bikes located across our Manor Park and Stag Hill sites, it's easy to get around and membership is only £30 a year! Since there are very limited spaces (and a community of more than 4,000 students), car parking is not available at the University for most students. If you live at Manor Park or Stag Hill, you won’t be able to bring a car to the University or park on public roads surrounding the campus. Hazel Farm residents may park in designated spaces at their residence, but cannot park on the main University campuses. There are a limited number of parking spaces at Bellerby Court, which are exclusively for students living in this residence. If you have been allocated a room in Bellerby Court, you can apply for a parking space by emailing the Residence Facilities and Contracts Co-ordinator. 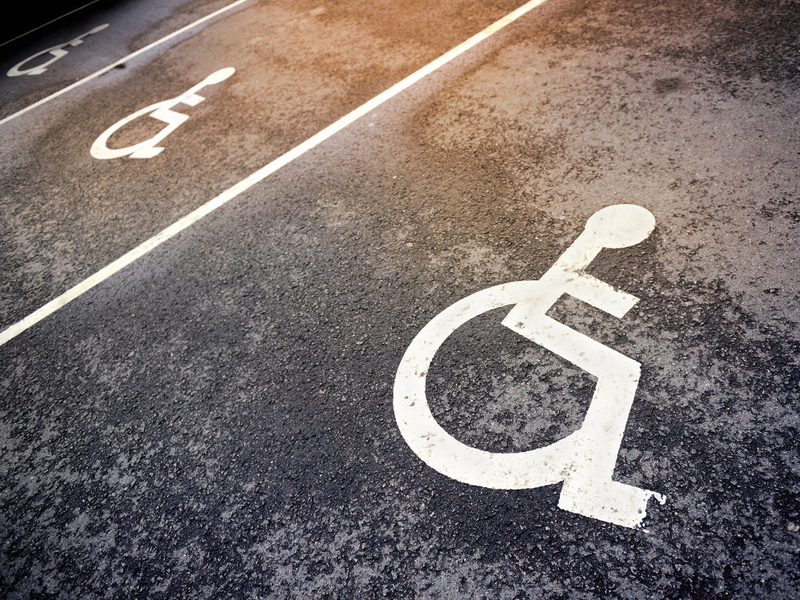 While most students can get to, from and around the University easily and cheaply without a car, a small number of student parking permits are available for students who meet the University's eligibility criteria. Are resident in University accommodation on Stag Hill or at Manor Park and are registered as part of the 2018/19 High Performance Athlete Support Scheme (HPASS) through the Surrey Sports Park. You can find out more about applying for a permit on our transport pages. Please be aware that the issue of a permit does not guarantee a space – there are no permit refunds if the car park is full. Find out more about travel and transport at Surrey. You don’t need your own car – you can use one of ours! The University operates a car cub for students to use. Two cars, one on Stag Hill and another based at Manor Park are available for you to hire to go out and about. Discounted membership and cheap hiring rates are available for students and joining the scheme gets you access to other Enterprise vehicles in Guildford and nearly 950 others nationwide! Students aged 19 and above can apply to join through an online application on the Enterprise website. Quote promo code STUS30 to save £30 when joining the scheme. You can also visit the Enterprise stand at Freshers Fayre to find out more. The Students’ Union is here to provide you with a warm welcome and a programme of events and activities to celebrate your arrival. Find out more about Freshers' Week events and information on the Union’s Official Freshers' Facebook page. Societies are made up of groups of students interested in a common theme. It may be that they share a love of baking, politics or pole fitness. Maybe they come from a similar geographical location, have shared religious views or study the same course. Whatever the society, they bring students together to share, learn and find out more about a diverse range of subjects. Discover what we have on offer at Freshers’ Fayre and view a full list of all activities and clubs available to you. There are many opportunities for you to get involved in Team Surrey, with our 42 sports clubs being a great place to start. It doesn’t matter whether you are looking to compete on a national platform, try something entirely new or participate in one of our PlaySport recreational leagues, there is an activity for everyone. In addition, be sure to sign up to our brand-new free programme; SurreyMoves, rewarding you for your everyday activity. To find out more of what is on offer, please visit the Team Surrey website. If a topic is not already covered by one of the Union’s existing 160+ activities, then start your own! New clubs and societies are formed all the time, creating an ever-growing list, truly representative of students’ interests at Surrey. Active Freshers’ Fair is your opportunity to try out the many sports on offer at Surrey. The weekend is full of free sessions for all abilities. The timetable has everything from Weightlifting to Hip Hop to Squash. Round off the best week of your life by taking part in some of the amazing activities on offer from Team Surrey. The Union has launched a fantastic new volunteering platform, to give you an easy way to find and participate in volunteering activities and log your hours. Bringing together opportunities from all over the locality, the Union has short-term and long-term volunteering activities, however much time you have to spare. Visit www.surreyvolunteering.com for more information. Santander is available to help with all your banking needs. If you want to open an account then you need to bring two forms of identification, which can include passports, UK driving licences and either UCAS letters, or letters from Student Services. Please visit the branch on campus or contact Ian Browning. We’ve produced a module that will help you with what to expect and where you can get help and support if you need it. You will be able to access the induction once you have registered as a student at the university. The induction will take around 10 to 15 minutes and will give you an opportunity to think about some important topics about life as a student at Surrey. We hope you find this induction interesting and useful. 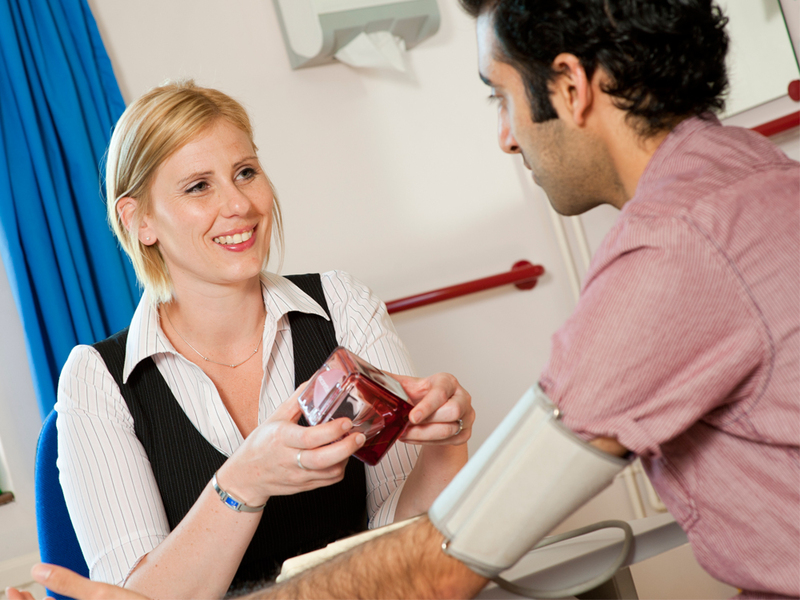 We recommend that you register with our on-campus NHS Doctor Guildowns Group Practice. This way you’ll be prepared if, and when, you need to visit a Doctor during your time at Surrey. It’s better than waiting until you're ill! If you are a UK student, or a student living overseas studying in the UK for more than six months, and are living on campus or in Guildford you can register online with your student number. Alternatively, you can find your local GP on the NHS website. Most UK-born students will have received the two doses of the MMR (measles, mumps and rubella) and polio vaccines as children, but you should check your health records to make sure and ask your GP practice to give you the vaccinations if necessary. In addition, all first-time university students up to the age of 25 are eligible for the Men ACWY vaccine that protects against four different causes of meningitis and septicaemia – meningococcal A, C, W and Y diseases. You may have had this at school, if not, we recommend that you contact your existing doctor for vaccination against Men ACWY, ideally before the start of the academic year, however it can be provided to you when you get here if needed within 2 weeks of arrival. More information about the Meningitis ACWY vaccination and the MMR vaccination is available on the NHS Choices website. The Centre for Wellbeing supports your health and emotional/psychological wellbeing during your time at Surrey. Our services are free to students and are confidential. We are open Monday to Friday from 8am to 5pm and you can access any of our services by visiting us in person, telephoning 01483 689498, or by emailing centreforwellbeing@surrey.ac.uk. Health and wellbeing promotion initiatives and events. A consultation with a counsellor can help with emotional and psychological issues. It’s an opportunity to talk something through, reflect and find a way forward. A counsellor will explore collaboratively with you what will best help, whether that will be self-help, a referral to the most appropriate service or agency, or a follow-up counselling consultation at the Centre for Wellbeing. Our Student Money Advisors based in the Student Services Centre can give you a financial health check. If you experience a delay in your student funding, you can speak to them to find out if an emergency loan from the University may be available to help you. Our International Student Support Advisors provide a professional and dedicated advisory service; helping with pre-departure and transition into life in the UK. The Students’ Union can offer you support with academic issues, extenuating circumstances, disciplinaries, appeals and complaints. Contact them at ussu.advice@surrey.ac.uk or visit ussu.co.uk/advice for more information. If you are a mature learner and feel you would benefit from finding out more about life at the University of Surrey before your official start date, you may be interested in attending our Mature Learner Pre-entry Day. The Pre-entry Day is designed for undergraduate mature learners (aged 21 and over) and will provide the opportunity to explore aspects of University life in more depth from a mature learners’ perspective. The event is an excellent chance to meet and network with other mature learners who will be starting their courses in September in addition to discovering more about learning and studying at the University of Surrey. There will also be an opportunity to hear about the support services available and to ask questions to current students and staff. Please note that whilst this event is open to all mature learners, it is aimed at those who have little or no prior experience of studying in higher education. Attendance is optional and does not replace the University’s Welcome Week, which should be attended by all students. Book your place on the Mature Learner Pre-entry Day. Further details and a welcome pack will be sent to you once your place is confirmed. Please note that to avoid non-attendance, we encourage you to sign up to the event once your place at the University has been confirmed. If you have any questions, please contact the Widening Participation & Outreach team at wp@surrey.ac.uk. This event is a great opportunity for mature learners to meet each other over a coffee or tea. Location: Wates House, The Green Room.